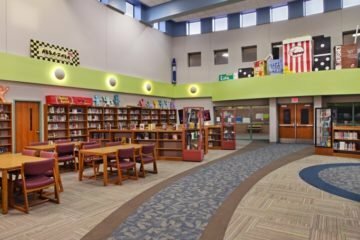 When officials at Scranton Middle School envisioned a new library, they most likely didn’t think it would win a national design award. 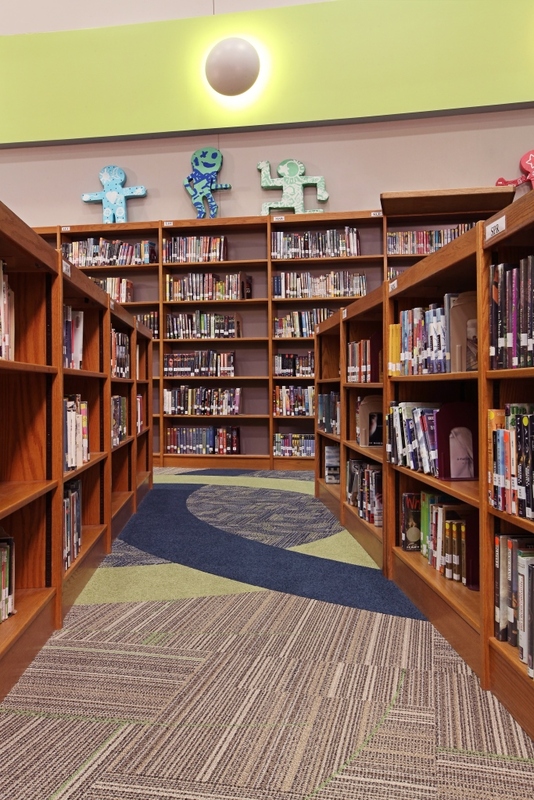 However, that’s exactly what happened for the project in the small community of Brighton, MI. 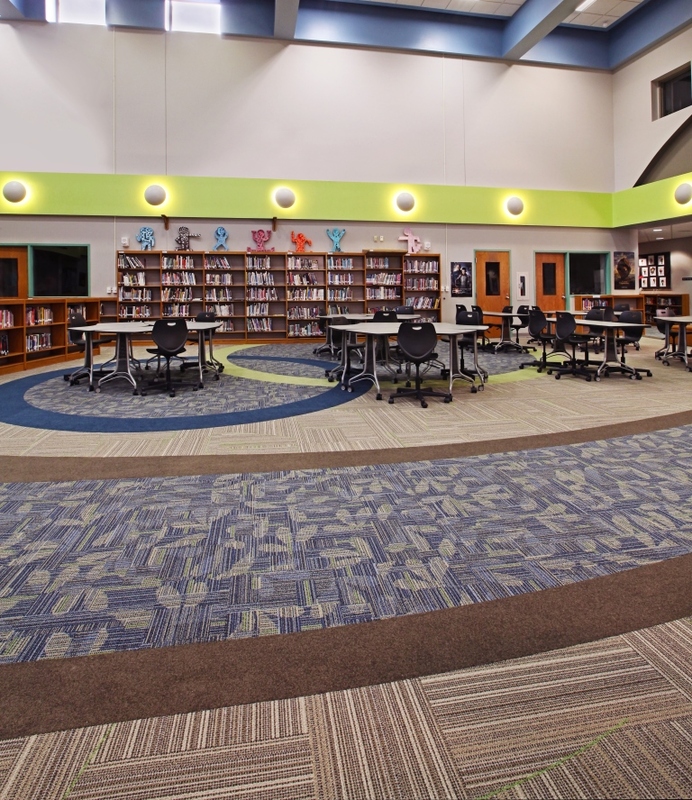 The original space was tired and drab, but a beautifully installed floor with unique shapes, colors, patterns and materials has created an inviting space for students and staff. 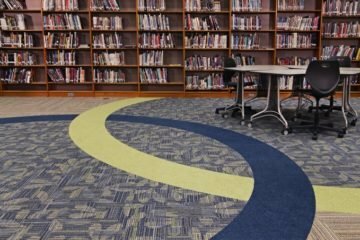 The major challenge for the design and installation team was integrating large swaths of broadloom carpet with individual carpet tiles. 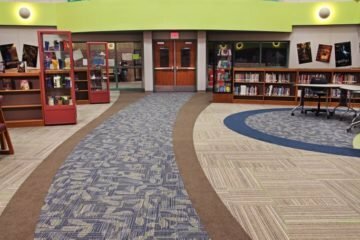 The space, at 6,000 square feet, is very large and carpet seams, stripes and radiuses had to line up perfectly with doorways and other visual guides. 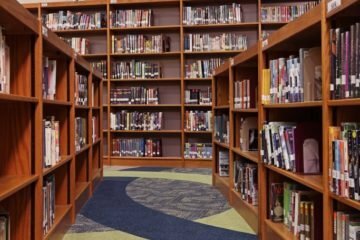 Furniture was also designed to fit within several sections meaning that everything had to be as precise as possible. Circles inside of circles, half circles and different materials made things difficult as well, and special templates had to be developed to ensure a perfect fit. 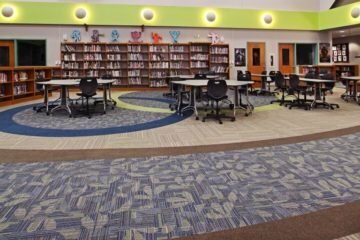 Thanks to a highly skilled, INSTALL-trained team, a beautifully renovated space now greets students and staff when they enter the library. 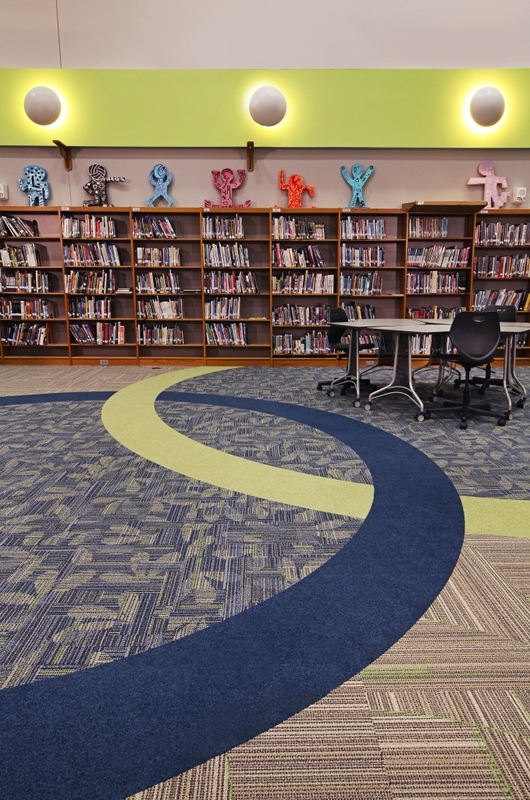 The large swaths of broadloom are expertly installed and built to provide years of use. 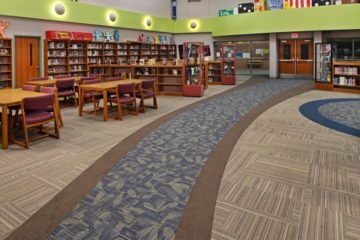 Much of this can be attributed to Conventional Carpet’s INSTALL-based apprenticeship program, as many of the installers have spent their entire career at the company and receive annual regular training by INSTALL certified trainers. 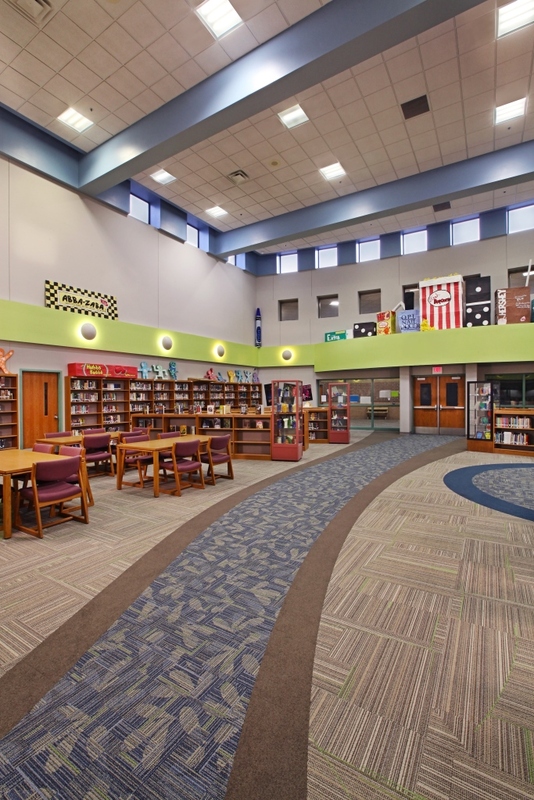 The space also earned a Bronze Award in the 2014 Starnet Design Awards in the Education category. 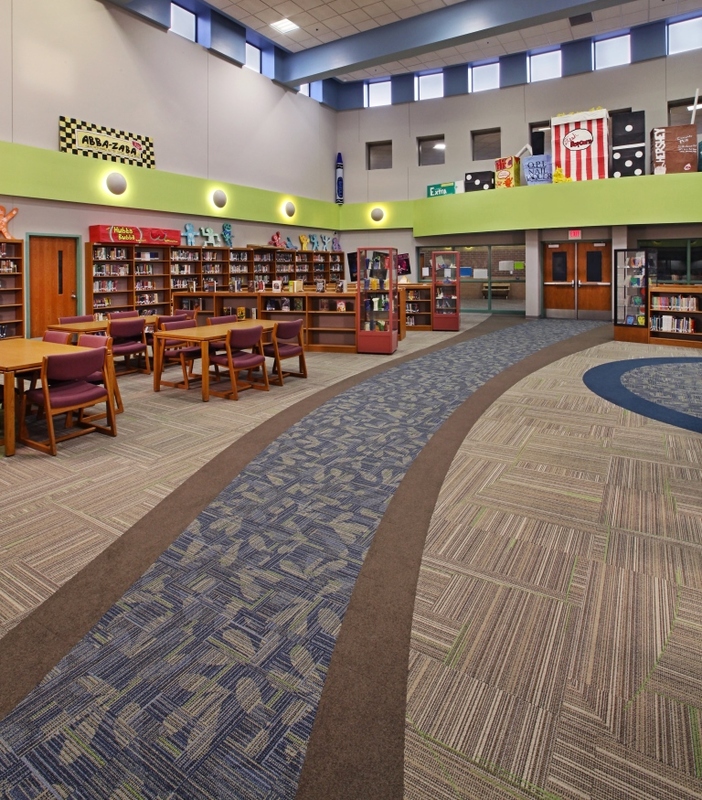 Starnet is an influential organization that’s comprised of 170+ locally owned, full-service flooring contractors, representing more than 300 locations in North America. 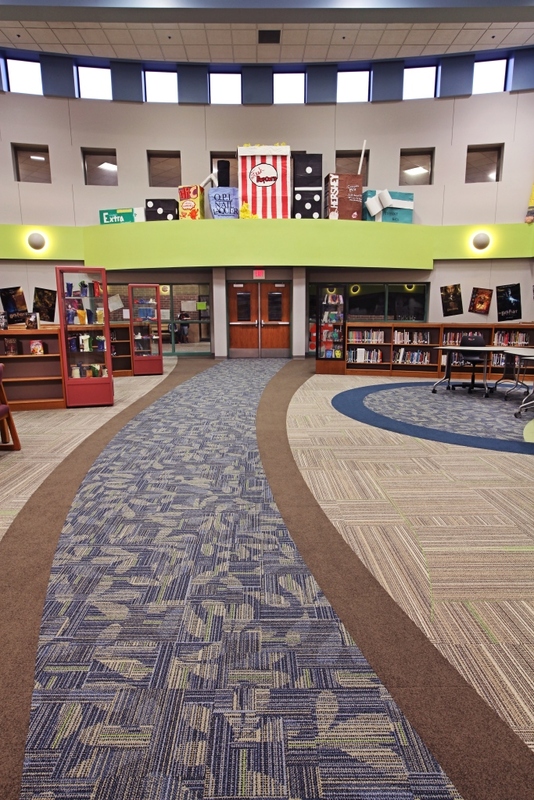 To see the award winning entry, visit the Starnet Design Awards web site.